Prime Minister Jüri Ratas replied to the interpellation concerning the agreements of the members of the Government of the Republic with “Est-For Invest OÜ” (No. 431), submitted by members of the Riigikogu Külliki Kübarsepp, Jüri Adams, Krista Aru, Monika Haukanõmm, Artur Talvik, Andres Herkel and Ain Lutsepp on 22 March. The interpellators referred to the facts presented in the TV-programme “Pealtnägija” [“Eyewitness”] to the effect that the Government had had a long-term cooperation with “Est-For Invest OÜ” in order to establish a biorefinery in Tartu county. The meetings, correspondence and agreements had taken place in February 2017. According to the facts presented in the programme, ministers representing all coalition partners had participated in the transactions. In the opinion of the interpellators, the activity had involved the whole coalition and had been coordinated. The interpellators wished to know how the Government had met the wishes formulated at the meeting, what action plans had been set out, and what budget resources had been spent under that cooperation agreement, and how much more was planned to be spent. According to Ratas’s explanations, the relevant Government ministers Urve Palo, Kadri Simson, Mihhail Korb and Marko Pomerants, and representatives of the private investor “Est-For Invest OÜ” had discussed the proposals of the investor at a meeting in February 2017. “The meeting was not classified,” the Prime Minister emphasised. He added that that had been, and indeed should have been, usual practice where the Government tried to find possibilities to listen to the proposals of an investor in the planning of a potential large investment for the state. “Proposals were discussed at that meeting, but no cooperation agreement between “Est-For Invest OÜ” and the Government was fixed or concluded. The parties involved have given their comments on what was discussed at the meeting to both the public and the press,” Ratas said. Ratas noted that the cooperation agreement entered into between the party interested in the preparation of the spatial plan, that is, “Est-For Invest OÜ” who had submitted the application, and the Ministry of Finance had been signed on 10 July 2017. It is a cooperation agreement on the preparation of a national designated spatial plan and conducting an impact assessment, under which “Est-For Invest OÜ” bears the costs relating to the preparation of the spatial plan and the impact assessment. “Under clause 5.3 of this public cooperation agreement, the interested person may cancel the agreement if the interested person decides not to establish a biorefinery, or it is obvious that it is impossible to establish a biorefinery in the area covered by the spatial plan,” the Prime Minister explained. He stressed that the Government as the entity that initiated and established the spatial plan had the right to terminate the preparation of the spatial plan, with a justification, at any moment. In the event of failure to justify, a court dispute between the state and “Est-For Invest OÜ” may follow, and a claim for reimbursement of the costs incurred may arise. “By today, “Est-For Invest OÜ” has not paid for any activity carried out in the course of the preparation of the spatial plan,” Ratas confirmed. He pointed out that the cooperation agreement was available on the homepage of the Ministry of Finance. “By today, the state has incurred modest costs in connection with the consultant of the national designated spatial plan for the biorefinery, the impact assessment of the plan, and the notification of the announcement of the public procurement necessary to commission the relevant studies,” Ratas said. The Prime Minister said that the Government had decided that, in the designated spatial planning process, it was necessary to involve local authorities in the preparation of the spatial plan according to the Planning Act. “We also decided unanimously that we would involve foreign experts if necessary. First, I have said that this biorefinery cannot be built at the expense of the environment. The position of the Ministry of the Environment is that without studies there is no ground to state that the establishment of the biorefinery would hinder the achievement of the objectives set out in the water management plans. However, if, as a result of the strategic assessment of the environmental impact of the planned biorefinery, it appears that the establishment of the biorefinery hinders the achievement of the aims of the Water Act, it will be impossible to issue an integrated environmental permit for the biorefinery for discharging effluent under such conditions, and it will be impossible to establish a biorefinery in the region,” Ratas noted. He underlined that local governments had a crucial role in the planning process. The Government’s decision also confirms that. 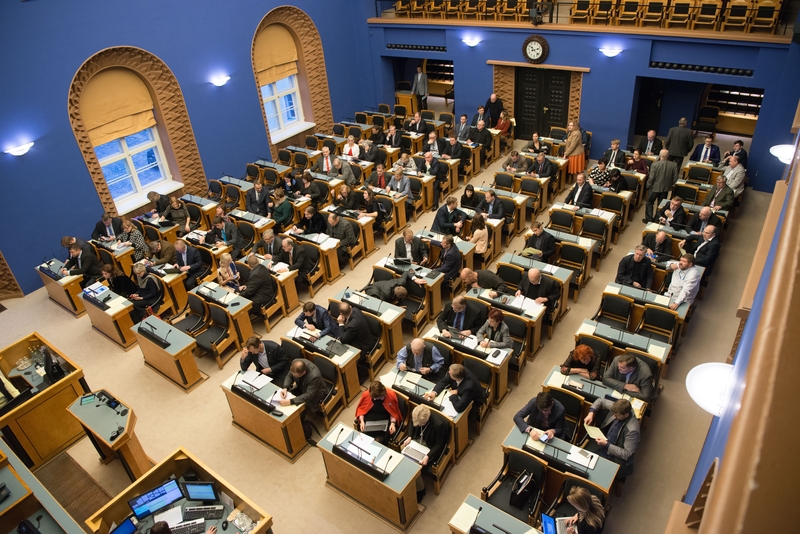 The Minister of Culture Indrek Saar replied to the interpellation concerning the address by the Association of Estonian Choral Conductors, the Estonian Choral Association, the Estonian Song and Dance Celebration Foundation and the Estonian Society for Music Education (No. 426). 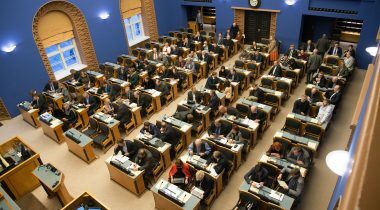 The Minister of Economic Affairs and Infrastructure Kadri Simson replied to the interpellation concerning the ferry traffic between the mainland and Hiiumaa (No. 432) and the interpellation concerning the connections with islands (No. 433).